Just like the Start menu in previous versions of Windows operating system, the Start screen in Windows 8 and Windows 8.1 plays an important role. One has to switch to the Start screen (unless you have configured it to open within desktop) in order to launch apps, search for files and settings, and launch pinned folders/files. 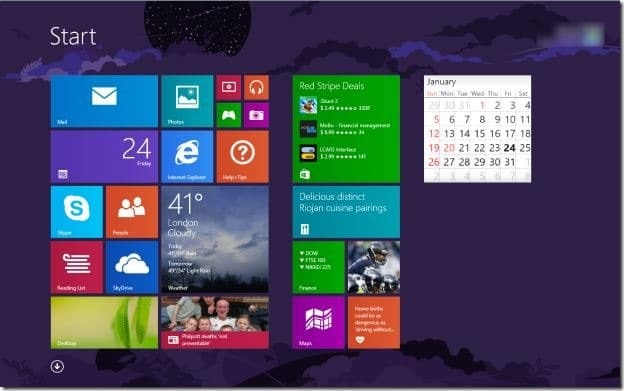 As each user running Windows 8 or Windows 8.1 knows, with default settings the Start screen can be accessed in Windows 8 by either pressing the Windows logo button on the keyboard, or moving mouse cursor to the lower-left corner of the screen and then clicking on the Start screen hint. One can also access the Start screen by opening Charms bar and then clicking the Windows logo button. 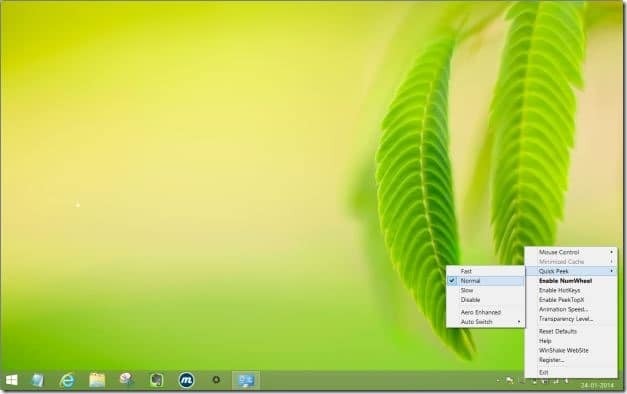 In Windows 8.1, users can click on the Start button to switch to the Start screen. Some Windows 8/8.1 users might want to access the Start screen with the help of a mouse gesture. You can now access the Start screen by just moving the mouse cursor to the lower-left corner of the Start. WinShake, a free tool which was first released to add Aero Peek and Aero Shake features to Vista and XP, has recently been updated and it now adds a number of mouse gestures to Windows 7, Windows 8, and Windows 8.1. 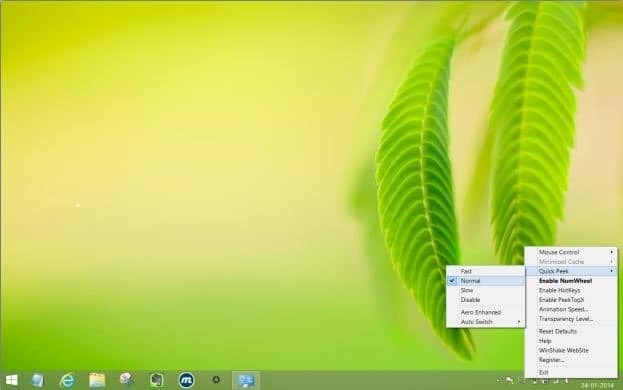 Since both Windows 8 and Windows 8.1 support Peek and Shake features, users running Windows 8/8.1 might not find this tool very useful but if you would like to get the ability to access the Start screen by moving the mouse cursor to the bottom-left corner of the screen, then this is the only and perfect tool. 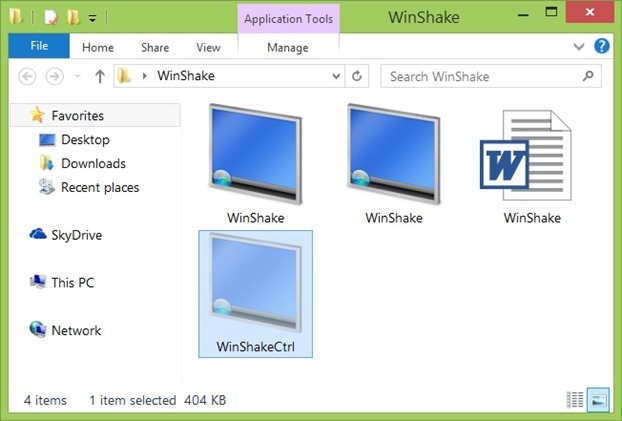 When the tool is running, right-click on WinShake icon in the system tray, right-click on the same, click Quick Peek and then select Normal or Fast. That’s it! From now onwards, you can move the mouse cursor the bottom-left corner to switch to the Start screen. The best thing is that WinShake is a standalone software, meaning that it can be launched without an installation. We have tested it on Windows 8.1 (x64) and can confirm that the above mentioned feature works flawlessly. Note that a paid version of the software is also available with more features. The ability to switch to the Start with mouse gesture is available in the free version as well.